Black and white. 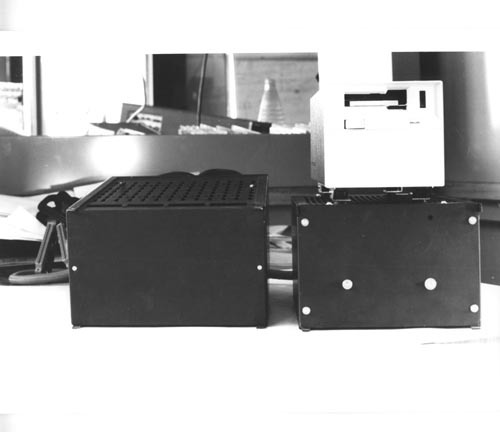 Image of two electronic black boxes . The one on the right has a white Phillips removeable storage device mounted on top.